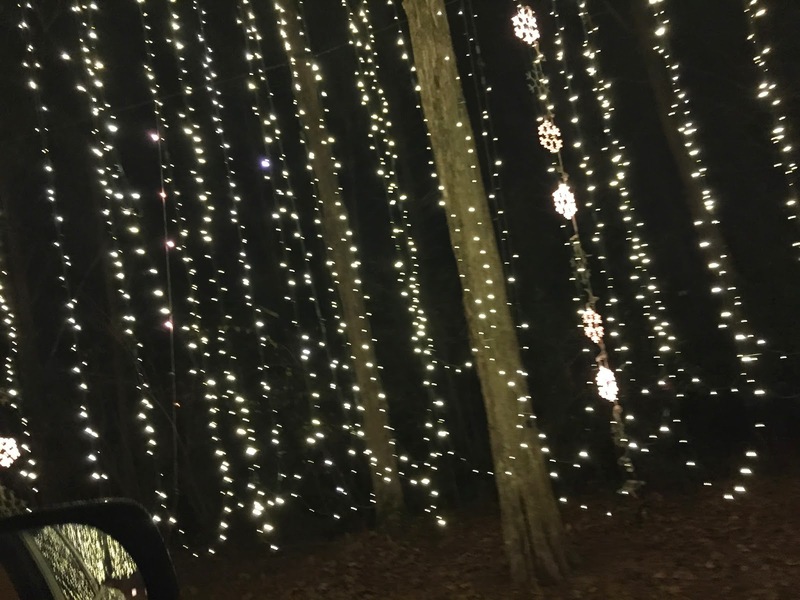 We decided to head out for some holiday fun in our new city this past weekend, first stopping at Huntsville's Galaxy of Lights. 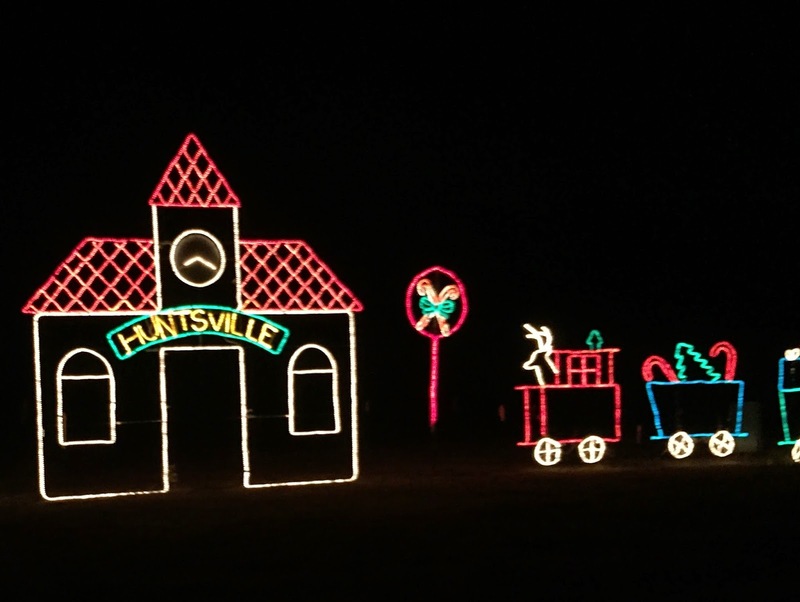 This was a drive-through lights show, similar to the Fantasy of Lights in Los Gatos, California where I used to live (in fact, my old bachelorette cottage was just down the street from the park that housed Fantasy of Lights, so every holiday season the area would be jam packed with cars at night trying to get in!). Huntsville's show is set up at the Botanical Garden. 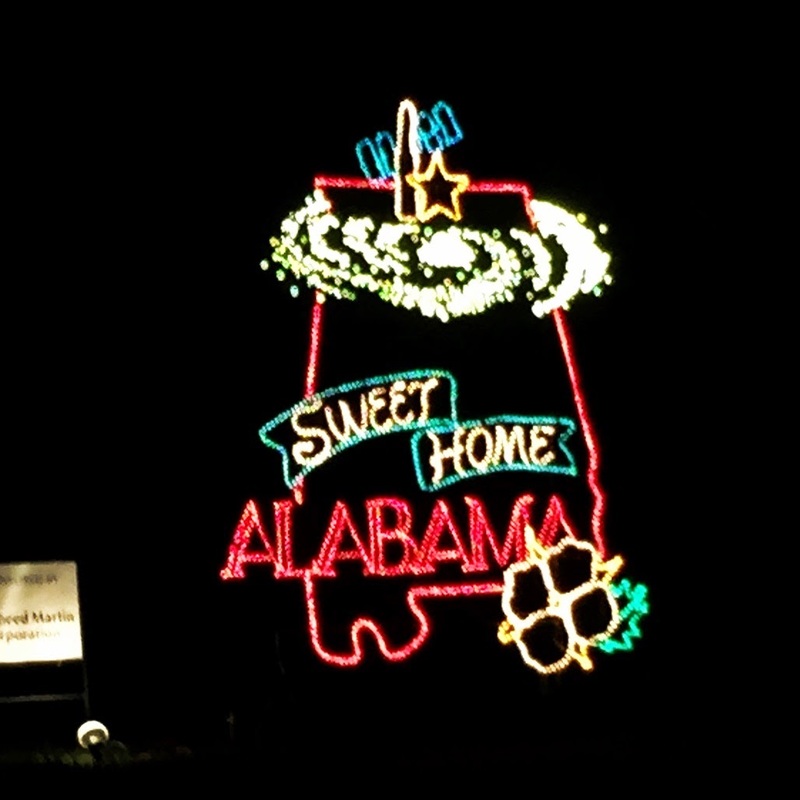 I'm guessing the "Galaxy" in Galaxy of Lights is a nod to Huntsville's nickname, Rocket City. In fact there were space and rocket themed displays lining the entrance. There was also a fun 12 Days of Christmas light display countdown in the line to get in, so Parker had to endure Mamma and Dadda singing all twelve verses to him, eek! My favorite section was this fairy wonderland canopy. It was a huge tunnel to drive through, and went right through a dense wooded area, making it all seem like a magical forest. Parker squealed and giggled almost the whole time and loved all the displays. He called out any objects he could identify and was such a happy camper. We will definitely be back next year, and even have plans to bundle up and take Sandy (top down once we're in the gates! ), as well as popcorn and hot chocolate!